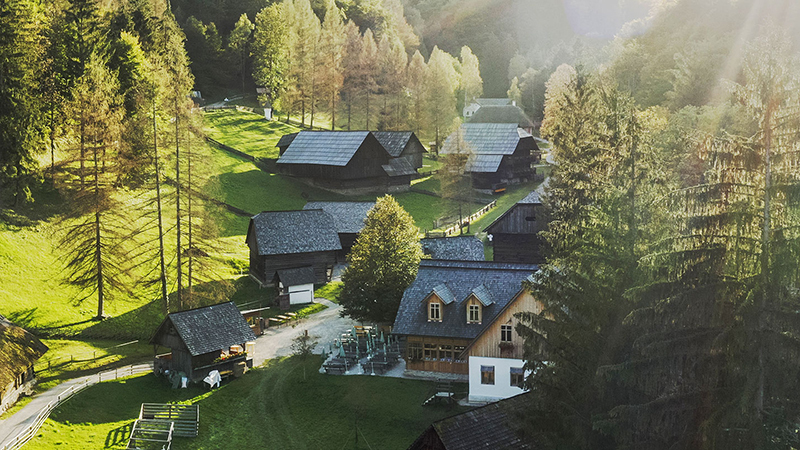 Aerial shot of Austrian Open-Air Museum, Stübing. IWCS team has returned from yet another successful scouting trip. During this week-long visit, the team has been engaged in preparations for 2019 World Wood Day as well as production of the second promotional video for this upcoming international event in Austria. 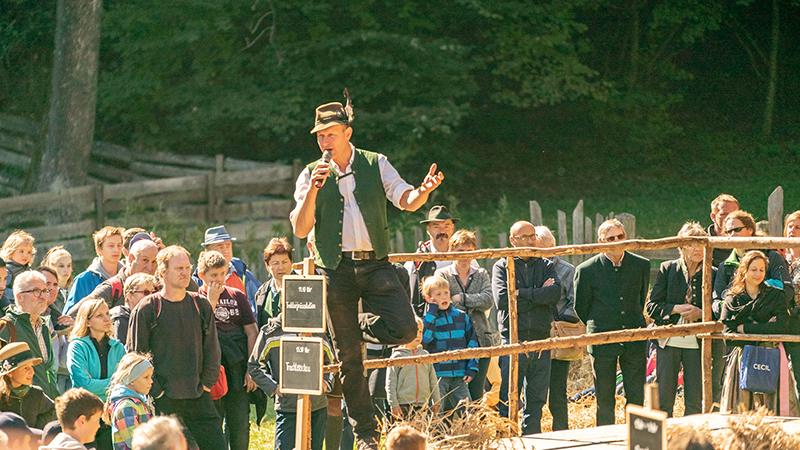 The team has spoken with our local organizing committee, including Federal Ministry of Agriculture, Forestry, Environment and Water Management, University of Natural Resources and Life Sciences, Vienna, International Union of Forest Research Organizations and Open Air Museum Stübing, and received valuable input and professional perspectives. 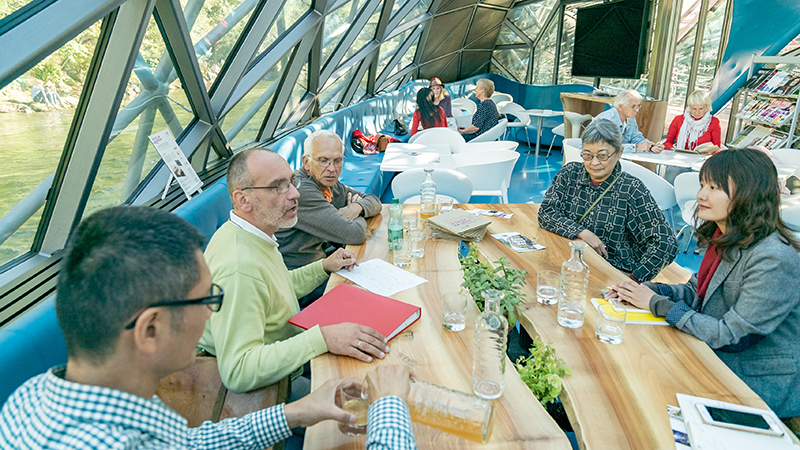 The team had the honor and pleasure to interview Mr. Oliver Sterl and Mr. Rüdiger Lainer, two Austrian architects, about the ongoing architecture project “HoHo Vienna”, a pioneering high-rise building hoping to set an example to rediscover one of the oldest building material in the world: wood, to be used in a modern construction. 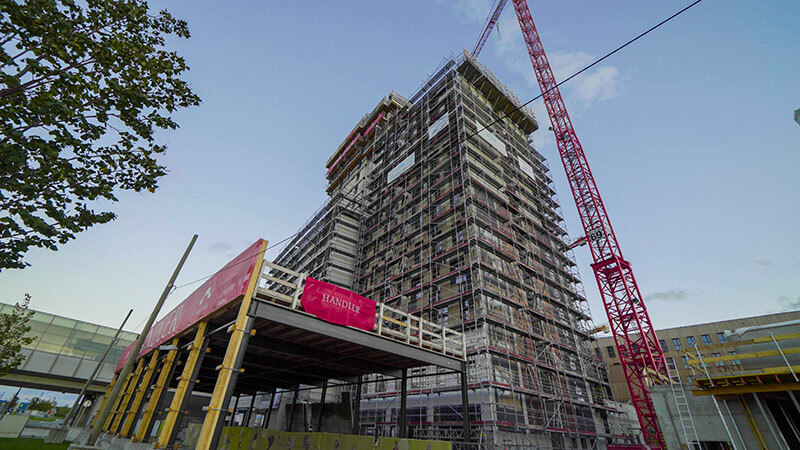 HoHo Vienna will be the world's tallest wooden high-rise after it is completed. The never implemented idea of building a "wooden skyscraper" will now be put into action in Austria's capital city. 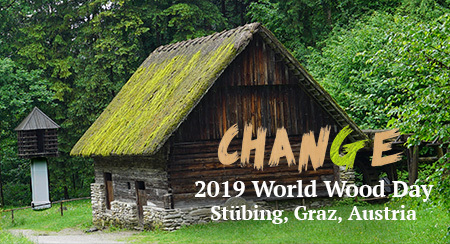 In comparison to the formative historical buildings at the Austrian Open-Air museum Stübing, the innovative way to build with wood provided an example of successful modern approach, which correlates perfectly with the theme “Change.” Mr. Rüdiger will also deliver a presentation at 2019 WWD symposium program and share more of his ideas about the project with our participants. When speaking about the theme “Change”, Mr. Gerhard Mannsberger, Vice-Rector of the University of Natural Resources and Life Sciences, pointed out that “It is right now, for us to see the changes in the nature, but also a time for us to generate new ideas in order to adapt nowadays changing environment. “ Support from other partners for 2019 WWD are also tremendous. 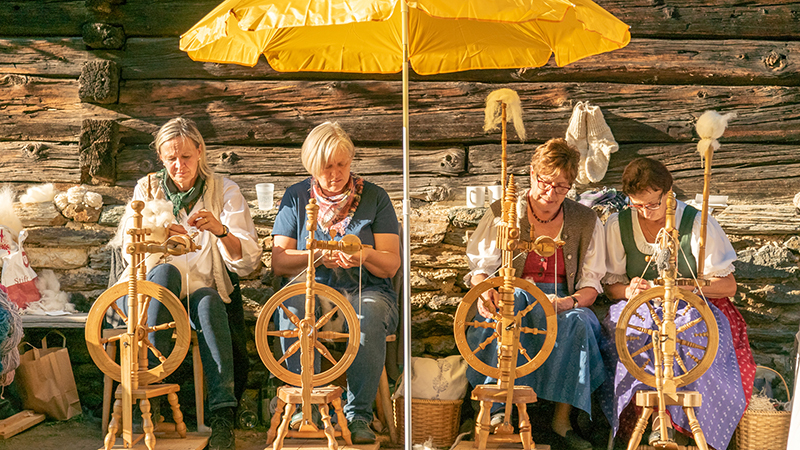 The coordination office of the City of Design that specialize in urban environment and cultural heritages will arrange specially tailored two-hour wood culture tours for participants to discover more about the host city, Graz. Two days of evening live concerts will be held on March 20 and 22, starting from 18:00 in a landmark of Graz: The Murinsel (translated Mur Island). Both offer free entry for the public to enjoy international ensembles and traditional baroque music from Austria.